With its new address at 1616 Stout Street, the shop is within walking distance of the Denver Performing Arts Center and Denver Convention Center and just around the corner from the 16th Street Mall. UPDATE: Results are in from the James D. Julia October sale, and Contributing Editor David Trevallion’s Purdey No. 208 sold for nearly the low and high estimates combined. The F16 is a new gun with a new action at a favorable price. Examining one of the oldest surviving Purveys. L.D. 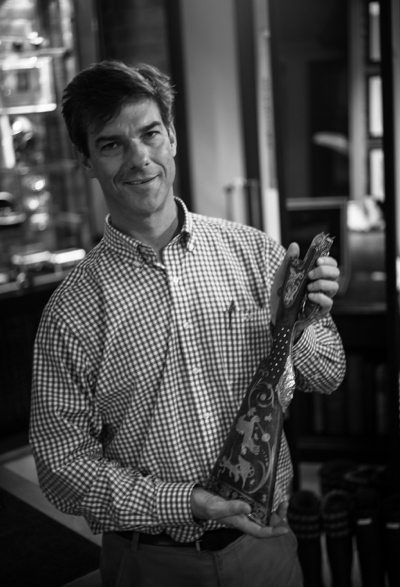 McCaa will head up Westley Richards USA in a shop being designed by the same team that worked on Westley’s UK premises. High demand for the firm’s handmade side-by-side has slowed development of the over/under . . . until now. Bill Moore’s collection will be presented for sale at James D. Julia’s October auction. Pacific Sporting Arms East opened in November in Walled Lake. The new shop’s inventory leans strongly toward guns for competition—which owner John Herkowitz knows plenty about as a longtime competitive shooter. The Orvis Chapuis Classic in 20 gauge is very light yet handles remarkably well. Read Bruce Buck’s review.